If you’re on a shared computer without separate user accounts, you don’t want the other user(s) looking at your private email. 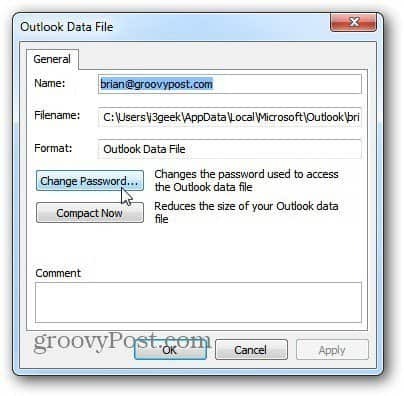 Here’s how to password protect your Personal Folder (.pst) file in Outlook 2003, 2007 and 2010. 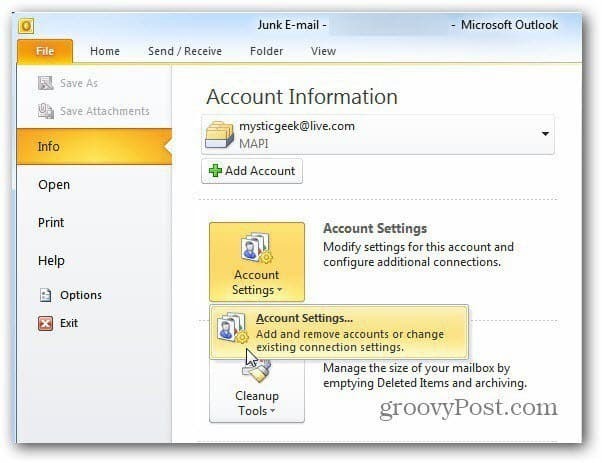 In Outlook 2010 click the File tab then Account Settings. Next, click the Data Files tab. Then highlight the account you want to protect. Click Settings. The Outlook Data File screen opens. Click Change Password. Now type in a strong password twice. They can be up to 15 characters in length and contain symbols and numbers. Since this is a shared computer, don’t check the option to save the password. Click OK and close out of the remaining open screens. Restart Outlook and you’ll need to enter in the password you just created to use that account. If a user clicks Cancel, Outlook will open, but they won’t be able to access the account you protected without the password. You can do this in Outlook 2003 and 2007 too. 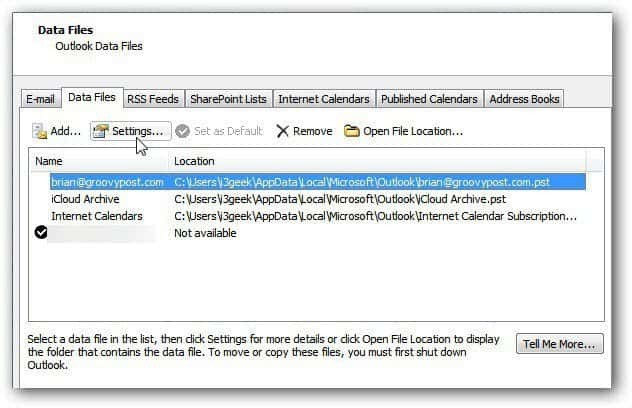 To get to the Outlook Data File, go to File >> Data File Management. 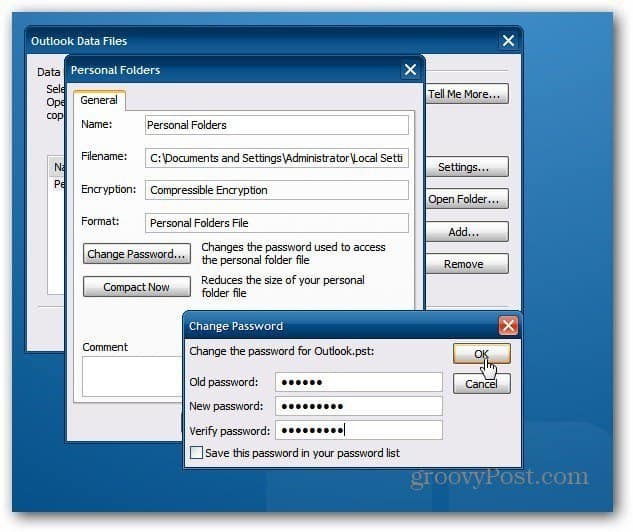 Then set or change the password on the PST data file following the steps above. If you don’t want someone you’re sharing a PC with snoop in your email, create a password for it. The main thing to remember is to not check to save the password. If you really want to make sure your data is protected, create individual user accounts as a best practice. 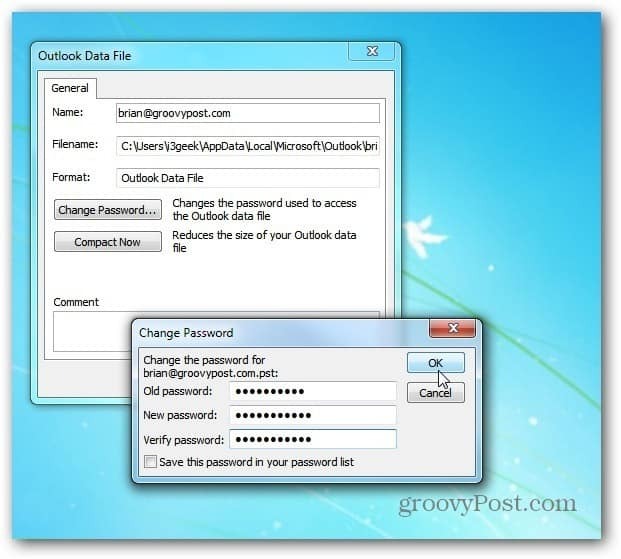 It is true that creating a password for an Outlook data file helps in protecting the data from any authorized access. I too created password for my .pst file but one day the problem occurred when I lost the file in which I saved the password. Tried many times to enter password… but no luck. 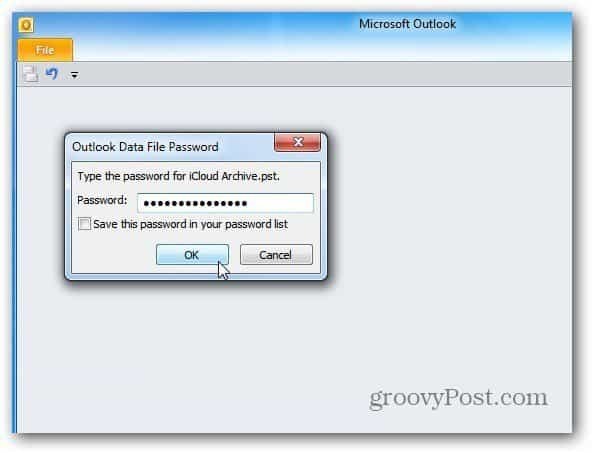 But thankfully my colleague suggested me about Stellar Outlook Password Recovery software, I read about it here http://www.stellaroutlooktools.com/pwd/outlook-password-recovery.php which helped me to recover the password and now I am able to work with my Outlook again. This recovery methodology is worked for me. 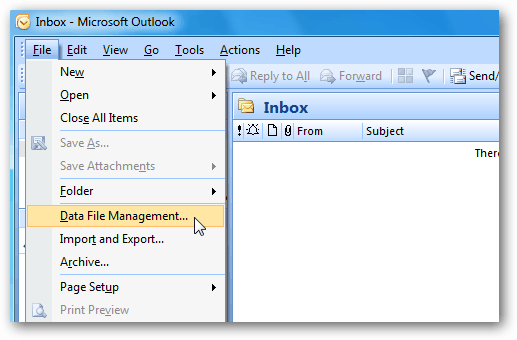 Now, I access my Outlook emails without barrier. what do you mean by Old Password in PST File, how can i set a new setup.